For our apple unit, we read the following books: Ten Apples Up On Top! by Theo LeSieg, Apples by Gail Gibbons, The Seasons of Arnold’s Apple Tree by Gail Gibbons, How Do Apples Grow? 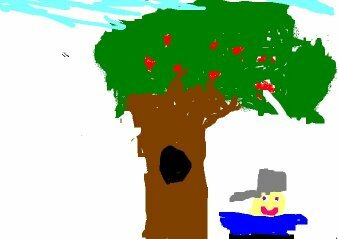 By Betsy Maestro, Johnny Appleseed by Patricia Demuth and Johnny Appleseed by Steven Kellogg. Our class brought in apples to make applesauce. Using the apples we graphed the colors of the apple, the number of seeds in the apples (First we made a prediction of how many seeds. ), and our favorite type of apple food (whole apple, juice or applesauce). We used Graph Club for graphing. 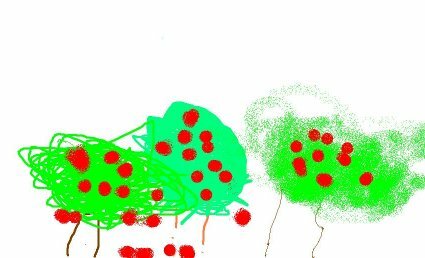 We also made pictures of apple trees and Johnny Appleseed using Microsoft Paint. 1. Plants have life cycles. The details of the life cycle are different for different organisms. a. Observe and communicate the growth and development a variety of plants from seeds. b. Recognize that fruits and nuts come from flowers. 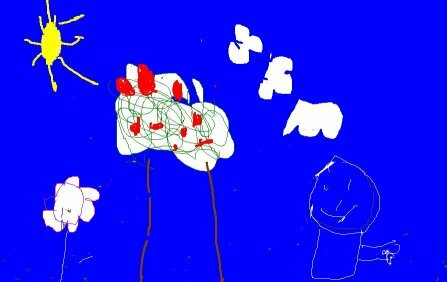 1) Use input devices (e.g., mouse, keyboard, remote, control) and output devices (e.g., monitor, printer) to successfully operate computers, VCRs, audiotapes, and other technologies 8) Create developmentally appropriate multimedia products with support from teachers, family members, or student partners. B. Generate questions, collect data, organize and display information, and interpret findings. 1 The student will read and interpret information displayed in a picture, object or bar graph using the vocabulary: more, less, fewer, greater than, and less than. 2 The student will construct picture, bar, and object graphs.